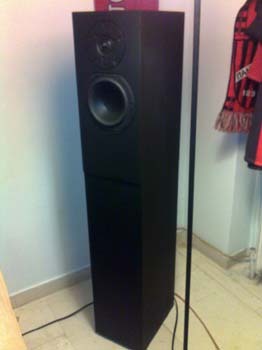 I've just finished the Peerless 830860 / XT25TG-30-04 project and i am totally amazed from the sound it produces. 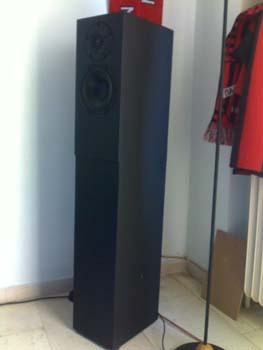 I just can't stop listening them..! 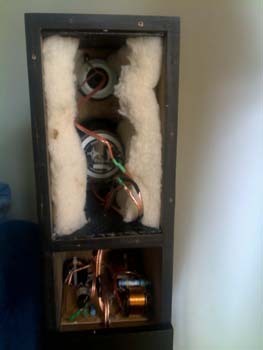 This was my first DIY speaker project. 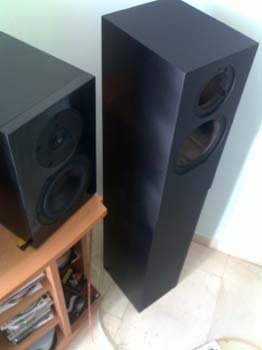 At first, I built the 8.2 Liter cabinets but then switched to floorstanders. I divided the cabinet in 4 levels(mainly for bracing). 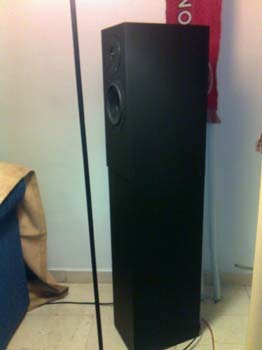 In the upper part i put the speakers, and in the level below it i placed the crossover. The last level was filled with cement rocks. I tried many different resistor values for tweeter attenuation(from 1.8 to 4.7), but the 3.3ohm sounded best to me. I have some images attached.